Radon poisoning is responsible for 20.000 deaths in the United States each year, which is more than the number of deaths caused by household cleaners and lead paints. Radon poisoning is the result of radioactivity of uranium, found in soil, rocks and other places in and around the house. Many parents are worried about this gas and its effects on their children. Radon is a radioactive gas that comes from the soil, mainly granite. It seeps into homes through cracks in the foundation, through malfunctioning ventilations systems, and it can be found in basements and underground water pipes. When radon is inhaled, it splits into two short-lived products- Polonium 218 and Polonium 214. When these two combine with the biological system of the human body, they can be fatal. Radon poisoning signs are very difficult to detect, especially in children, because it is colorless, tasteless and odorless. 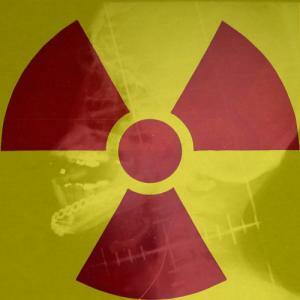 Like any radiation poisoning, radon poisoning is very toxic for humans. Due to less developed immune system and difference in breathing patters, children are more susceptible to radon poisoning, and this has been proven in various studies. Since children, especially very young ones, spend a lot of time at home, they are at a bigger risk of this type of poisoning than adults. Exposure to radon, even in small amounts, can lead to lung cancer later in life, and the signs of poisoning may not appear before lung problems are detected. It is believed that exposure to radon is the main cause of lung cancer among the non-smoking population in the United States, and it is accountable for many cases of lung cancer in children. In early stages of poisoning, a child that is exposed to radon does not show any signs of poisoning, on the skin or otherwise. Long-term exposure can eventually lead to emphysema and pulmonary fibrosis, and there is evidence about certain interferences with DNA and chromosomal aberrations. Ever since several cases of children with lung problems have been associated with radon poisoning, the World Health Organization has issued a series of laws for builders, construction workers and home owners, that are supposed to reduce the risk of exposure to radon. Families who are suspecting radon poisoning in their home are encouraged to have their home tested by experts, which is an inexpensive and relatively simple procedure. Tests that show radon levels of 4pC/L (picocuries per liter) or higher indicate high risk and steps should be taken to secure the home from further exposure to radon. fake poison - is there any such drug which will fake death ? When do symptoms of food poisoning start?